Online deposit payments are available now on all Dealer Solutions Modular websites. 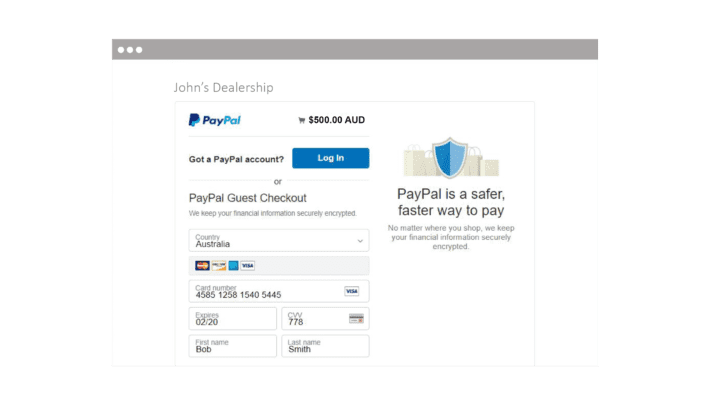 We have partnered with PayPal to bring online deposits to all Dealer Solutions Modular websites. 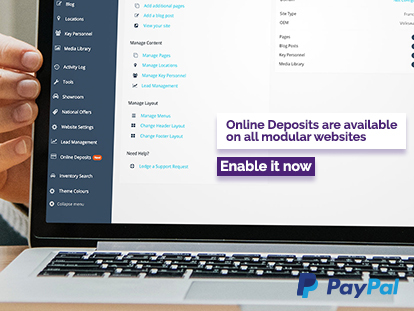 Simply register for a PayPal Business account and enable online deposits on the back end of your Modular website. Don’t have a Modular website? Request a free demo here so you can experience our automotive websites built to sell cars. Once the online deposit feature is enabled on our Modular website, your customers can secure their next car by placing a deposit online. No Upfront Fees. You only play when you receive a deposit online. 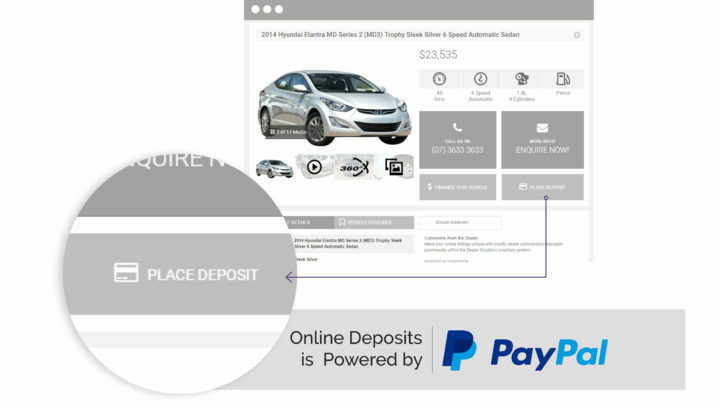 Once Online Deposits is enabled on your website, the “Place Deposit” button will be visible across all your vehicle inventory on your vehicle dealership website. From here, your customers will be able to secure their next car by placing a deposit via their preferred payment method – all they will need to do is to complete a simple form, agree to your own terms and conditions and pay a refundable deposit. Our partnership with PayPal allows your customers to pay their deposits using their personal PayPal account or via their preferred credit card: Visa, American Express and Mastercard are accepted. Enable Online Deposits on your Modular Website now and start selling vehicles 24/7/365. If you do not have a Modular Dealer Solutions website, request a free demo here or send us a message using the contact form below.